Mavic Pro is DJI's first portable drone. Mavic Pro is unlike its predecessors because it is foldable. This drone has the main features of previous drones like Phantom 4 etc. Mavic Pro is one of the best drones nowadays because it is reliable and you can take it to everywhere with you because it doesn't need much space in your bag. It comes with small controller as compared to previous drones by DJI. Folded Mavic Pro measures 83 mm(H) X 83 mm (W) X 198 mm (L). Without propellers, the diagonal measurement of the drone is 335 mm. 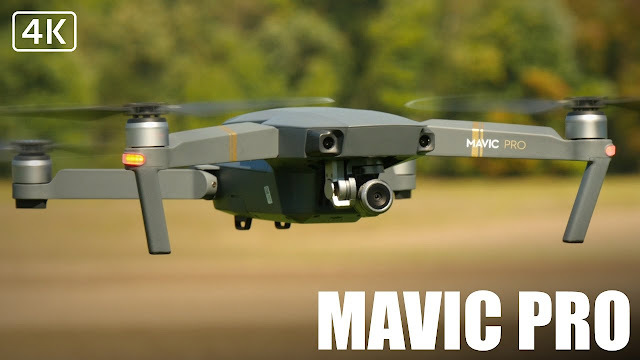 The total weight of Mavic Pro including battery, Gimbel, and propellers is about 743 g.
In sports mode, it has maximum ascent speed of 16.4 ft/s or 5m/s and corresponding descent speed is 9.8ft/s or 3m/s. The average speed of Mavic Pro is 65km/h or 40 mph. It is a little bit slower than Phantom 4. The Mavic Pro can operate up to 16404ft above sea level. The maximum flying time is 27 minutes when flying at 15.5mph or 25km/h in without wind. The Mavic Pro operates at a temperature ranges between (0 - 40 Degrees C). The hovering accuracy of the drone is about 0.1 m vertically and 0.3 m horizontally. 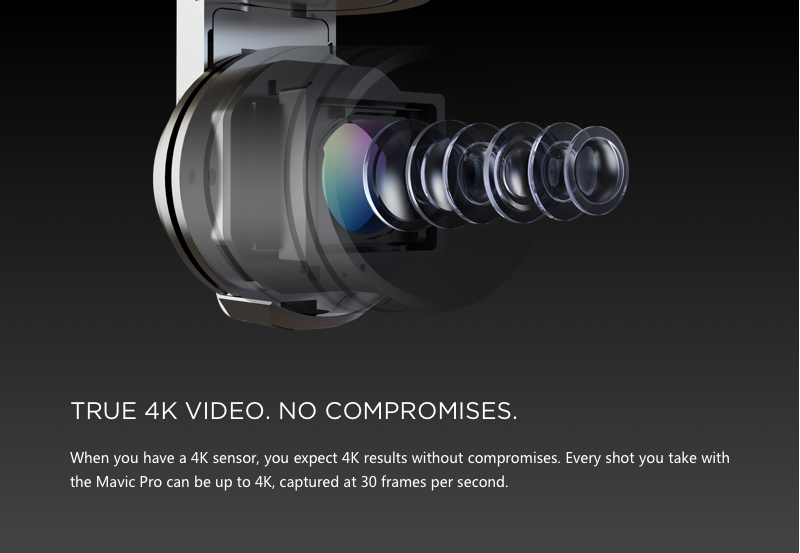 The Mavic Pro has a camera with a 1/2.3'' sensor with effective pixels 12.35M and total pixels 12.71M. It has a FOV 78.8 Degree 28 mm lens. The ISO range is 100 - 1600 for photo and 100 - 3200 for video. The maximum image size is 4000 x 3000 and shutter speed is 8s - 1/8000s. Photo formats are JPEG and DNG while video formats are MP4 and MOV. The maximum video bitrates are 60 Mbps. Supported file formats are FAT32 and exFAT. The Mavic Pro supports MicroSD with a maximum capacity of 64 GB. LiPo 3S battery is used in Mavic Pro. Its capacity is 3830mAh and voltage of the battery is 11.4 V. The weight of the battery is about 240 g or 0.5lb. The camera can do Single Shots and Burst Shooting at 3/5/7 frames in term of still photography. There is also BV Bias and interval still photography modes.In terms of video, the camera can shoot in C4K, 4K, 7K, FHD, and HD. 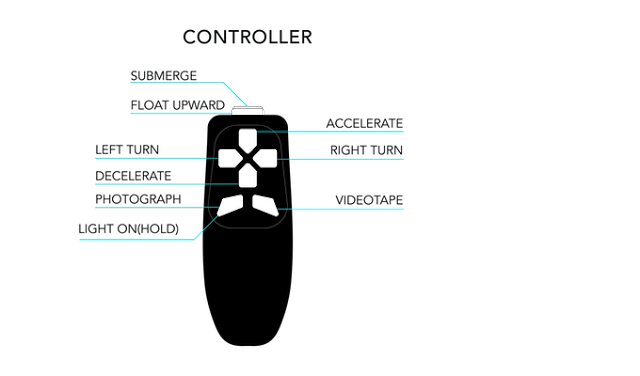 The Mavic Pro comes with a controller that have operating frequency ranges from 2.4 GHz - 2.483 GHz. The maximum transmission distance is about 7 km or 4.3 miles. The controller utilizes a 2970 mAh battery. The operating voltage is 3.7V. It is designed to support user's mobile device. 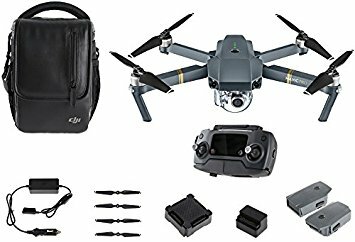 Mavic Pro is available on DJI's Official Store, Amazon, eBay, and Aliexpress. 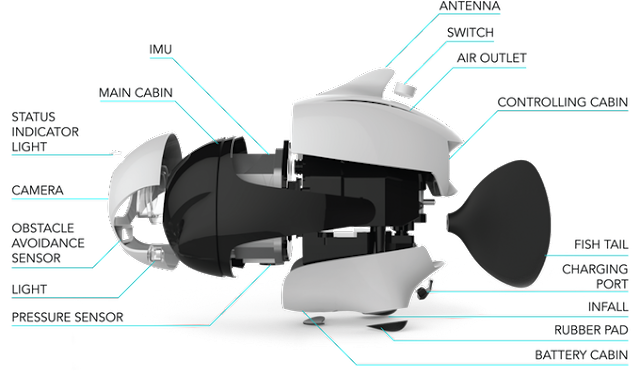 Had you ever dreamed about Wireless Underwater Drones? Then here is something for you, an ecological, the most powerful and portable "First Bionic Wireless Underwater Fish Drone". It is not just a drone; it can also show some emotions like pets. It came with 4K Video Recording Camera to shoot best quality Videos and images which took underwater visualization to next level. Biki is so far claimed as the first bionic drone that also worked as a robot under water with features like obstacle avoidance, automated balance and return to base with accuracy. The size of Biki is also handy as it came with small size with great features. Well thinking about how much is the video duration we can shoot or how much depth it can clear? The answer is, you can shoot a HD quality video of 90-120 minutes and 196 feet maximum depth under water. You can take Biki with you while you are swimming to enjoy your swim with BIKI. Biki is capable to stabilize the camera for sharp photos and smooth videos by using a HD camera even you shooting a high speed motion or in a dark environment. Biki is equipped with 150° wide-angle lenses so you'll never miss any details under water. Well, the issue arises in mind about lights in dark areas underwater so here is your solution about darkness that equipped with 2x114 lumens lights which will give you a better see underwater with support of 4K HD video recording with 16 Megapixel Camera. 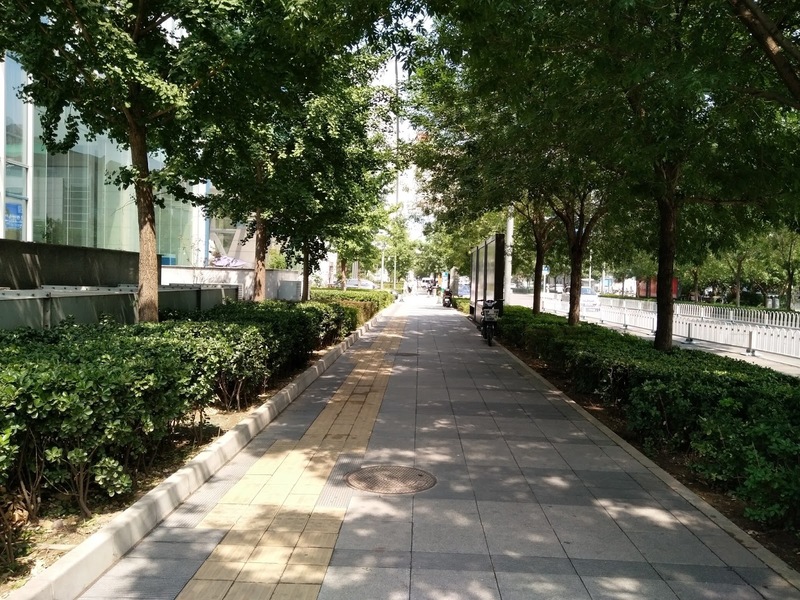 The maximum video shooting duration of BIKI is in between 90 - 120 minutes. You can take 5243 Photographs with 8 MP, or 4000 photographs with 16 Megapixels and also maximum 2.2 hours of video recording with 1080p as it can save up to 32GB memory. 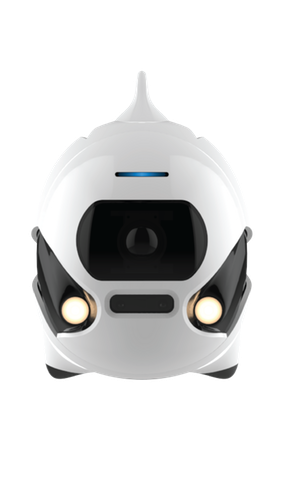 With reference to Dolphin, Biki uses a bionic sonar echo-location process to locate objects. The tail fin driven technology is based on reverse Von Kármán vortex street theory from fluid dynamics. Driven by the tail fin, it can control and moderate the direction of movement at any stage. So, we can shoot the world underwater without disturbing the underwater biosphere. 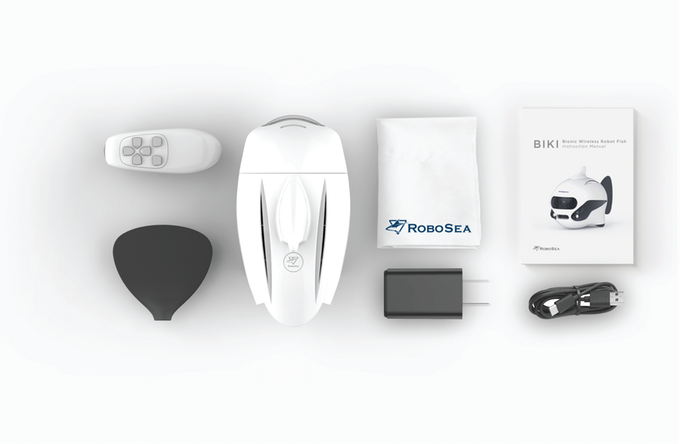 Exclusive Autonomous Control Algorithm ROBOSEA™ and Inertial Measurement Unit (IMU) help BIKI to control its balance in the water. Wi-Fi: Transfer distance 82.02 (25m), Control Distance 164.04 ft (50 m). Functional Buttons: Accelerate, Decelerate, Float Upward, Submerge, Turn Left, Right Turn, Video Record, Photograph, Light on. Here is a little introduction about the inventor of BIKI, Dr. Xiong Minglei. Dr. Xiong Minglei as CEO of Robosea was the major researcher in the intelligent control room of the engineering institute of Peking University. Dr. Xiong Minglei invented and developed the first ever underwater drone/robot with dual reconfigurable tail fins, which was sailing in the Antarctic regions. This invention played a significant role to find the mysteries underwater with smooth operation and collect all the data at a very low cost. Hi folks! As you all know that Android launched their latest version Nougat V7.0 which is much faster and most reliable than their previous version. If you are doing multi-tasking, they made a little modification in their latest version to switch between tabs quickly. These time cards are bigger in size but yeah, trimmed to few as we saw many in previous version Marshmallow and they also removed some un-necessary apps from their list. To get rid of too many tasks running at back end, a very useful button is added to the top of your card stack so you can easily clear them all or if you want to switch between them, you can. Another feature is Don't Disturb , which allows you to choose your top priorities regarding alarms, notification or on complete silence for a limited time or according to your setting, whether you sleeping or working in your office. Emoji's are most popular nowadays, so keeping that in mind Android added the best Emoji option and app links to share with your circle. You can also set your desired language and you can easily switch between multi languages. This is a great change for users who are bi-lingual or traveling to different states so they have full control over how much information is coming up on-screen with a simple DPI changer in the display settings. Many people questioned about Nougat performance. Yeah, they did some great changes and work done behind the scenes in this update to make this faster. The latest update regarding camera that comes with Nougat on Google Nexus devices also added a new twist gesture to easily switch between back and front cameras. Unfortunately, you may need first to double tap the power button to instantly launch camera app. This is a great step to bring all the information to display on first impression when you click on settings. All the information regarding how many app you have, on which WIFI Connection you are and bluetooth connection as well. There will be an option on the top of the page which will offer different suggestions for items you may want to disable or setup according to your settings. Google recently added this button to celar all your open apps with justa single tap. All you need to do is just scroll to the top of the preview cards, there you'll find this new button. Click on Settings > Display > Display size and then use the slider. Whether you are in a browser searching for something or watching movies etc, if you got any messages like on Facebook Messenger, whatsapp or general messages, there will be a reply option under that particular notification to reply back instantly without leaving the current tab. With a long-press on notification, you can choose to silence alerts or disable notifications for that particular app. Another great feature by Android is multi window option. If you are using and app but want to run another app, so just long press on multitasking button and it will shrink down the app you are using and will give you an option to choose another. You can also adjust the size of screens for both app according to your need. Everyone loves to use gifs and emoji in their messages while they are default message or using facebook messenger app. Tap on emoji icon then click on Gif option. Now search your desired images, choose and send to your friends. 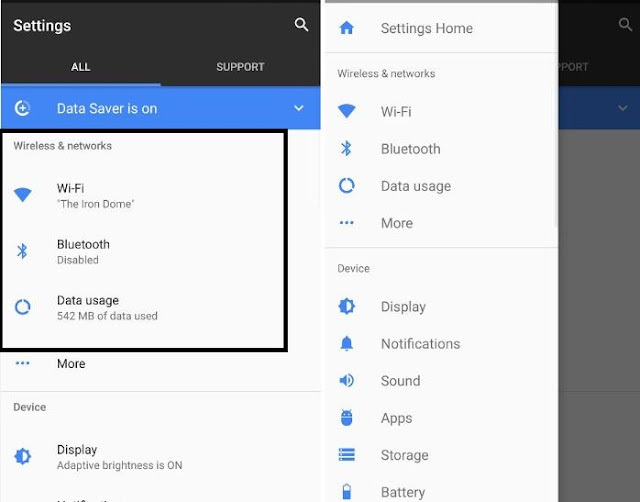 An addition in the setting is Data saving option which on enable will save you plans data by stopping apps running in background or will not allow to refresh and use more data. Mostly people got eyes issues by using devices at night with such a high intensity of light affecting the eyes. So in Android Nougat, Night Light mode will turn your display an amber color. Whether this feature helps you to fall asleep or not but it will cause low effects on your eyes with dim light. Click on Settings > Display > Night Light to enable this feature. You can also choose your timings to activate and deactivate this mode automatically but it depends on customization option on your phone. 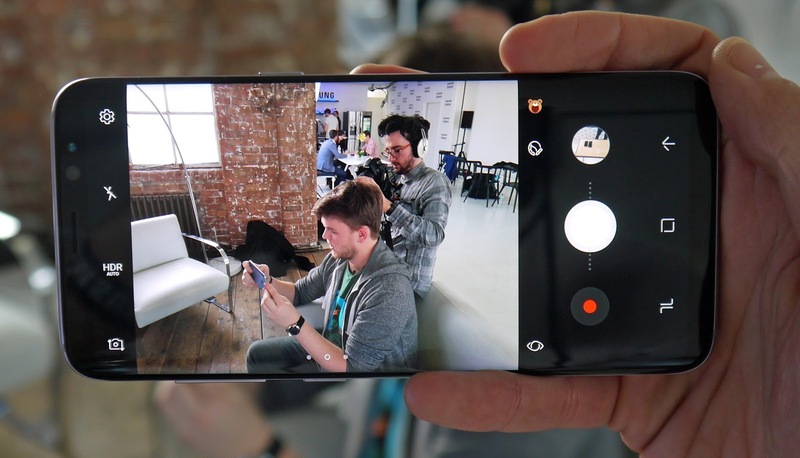 Samsung Galaxy 8 Plus is the latest flagship from Samsung Galaxy with its amazing look, HD Display with effects, camera looks real and will bring you amazing results whether you are caoturing a scene or recording. The resolution of this new Samsung Galaxy S8 Plus is fine-tuned with a Super AMOLED display. Screen size is 6.2 inches Super AMOLED Display technology with 16M colors and Corning Gorilla Glass 5 Protection, Screen resolution of 1440 x 2960 pixels and pixel density of 531 ppi pixel density capacitive touchscreen. Dimensions (WxHxD) are 159.5 x 73.4 x 8.1 mm. The Sensors are Accelerometer, gyro, proximity, compass, barometer, Fingerprint, heart rate, SpO2. The Operating system of Samsung Galaxy S8 Plus is Android OS, v7.0 (Nougat) which is the latest version so far by Android Technology. Processor Octa-core (4 x 2.3 GHz + 4 x 1.7 GHz) Chipset (Exynos 8895 Octa) and GPU (Mali-G71 MP20) will give you fastest speed with support of 4GB RAM, GOUP Adreno 530. The built-in Memory of Samsung Galaxy S8 Plus is 64GB, MicroSD Card Support up to 256GB). S8 Plus is on LTE (4G) to give you fastest speed if you are an internet surfer. Samsung Galaxy S8 Plus Back/Rear Camera Pixels are 12 megapixels with Flash/Torch, f/1.7,OIS, 4K Video recording and 9 Megapixels image recording and maximum resolution (still) is 2988 x 5312 pixels. With optical image stabilization, face detection, autofocus and Geo-tagging. The resolution of front camera is 8 MP with maximum numbers of fps when recording at 30fps and dual video call, Auto HDR at 2160p@30fps, 1080p@60fps, 720p@120fps, 1440p@30fps. 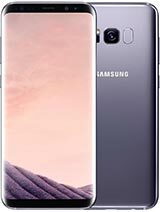 Samsung Galaxy S8 Plus is available in Midnight Black, Orchid Gray, Arctic Silver, Coral Blue and Maple Gold. Active noise cancellation with dedicated mic, Samsung DeX (desktop experience support), Samsung Pay (Visa, MasterCard certified), Fast battery charging, Qi/PMA wireless charging (market dependent),3D Touch (home button only) and Always-on display. Battery capacity is Non-removable Li-Po 3500 mAh battery and Weight is 173g. 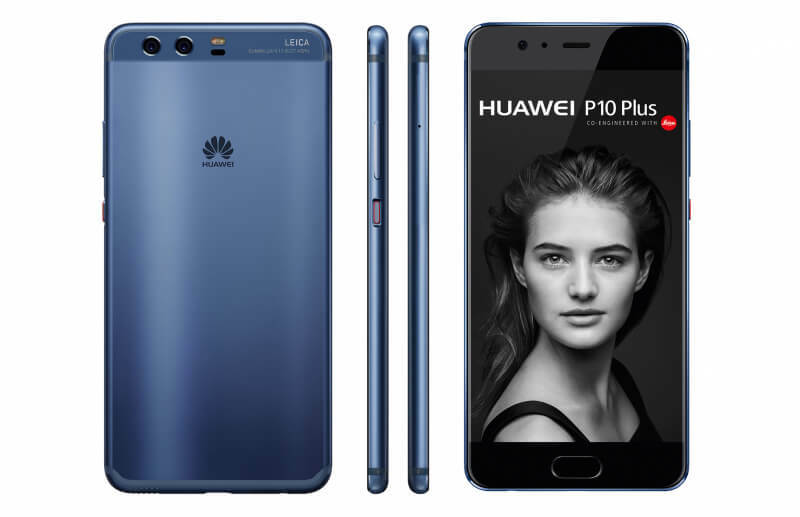 Huawei came up with it's latest smartphone P10 Plus keeping it mind about the quality and success of their previous models. 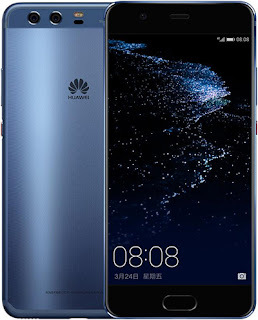 This latest device is masterpiece from leading Chinese brand Huawei to compete other devices of competitors but the news is, it's price is little high so you should keep this aspect in mind as well. Talking about Look and Design, it look like it's previous version. This device having 5.5 Inches came with Android latest version V7.0 (Nougat) till date. Huawei P10 Plus is 5.5" bar smartphone with Dimensions 153 mm x 74.2 x 7 mm. The Screen resolution 1440 x 2560 enhanced HD with Corning Gorilla Glass protection. LTPS (Low Temperature Poly-Silicon), 20-30% more power efficiency. CABC (Content Adaptive Brightness Control). Power and Volume + and - keys and also MicroUSB port with Dual SIM Card Slot. Operating System (OS) of Huawei P10 Plus is Android OS, V7.0 (Nougat) which is the latest version of Android. with UI Platform and EMUI 5.0. 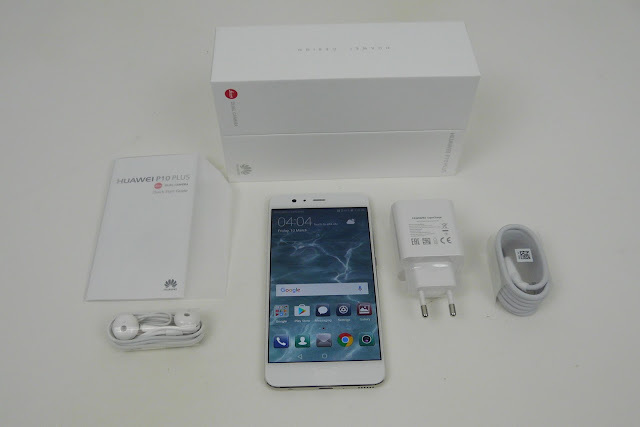 The cpu is Octa-core (4 x 2.4 GHz Cortex-A73 + 4 x 1.8 GHz Cortex-A53) Processor with 128/256GB (ROM) Internal Memory with MicroSD card support up to 256GB by using SIM 2slot and 6GB/8GB RAM. The accessibility is HAC (M3/T3) with SIM type, Micro SIM and Nano SIM. 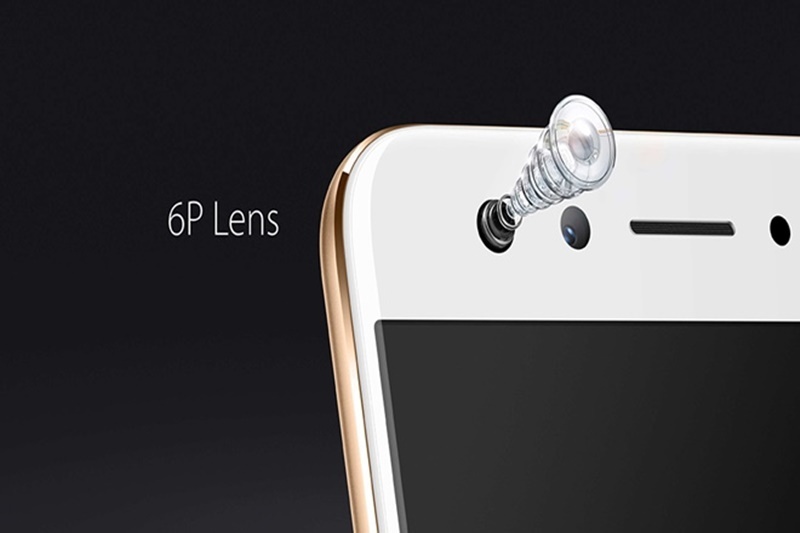 The dual back camera is 20MP + 12MP Sony BSI Auto-Focus, aperture F1.8, focal lens 28mm, macro mode <= 10cm, panoramic. The best thing about back camera is, it's using Sony camera which is so good for best result doesn't matter, either you are taking pictures or recording a video. It also has a LED Flash. The front camera is 8 Megapixels FF CMOS, F1.9 Aperture, 1.4µm sensor, 10-level auto face enhancement, magic preview windows, 88 degree wide angle, panoramic. Video recording at 30 fps @ 1080p (MPEG-4/H.263/H.264) encode. LTE - Band 2,4,5,12 & 17 High Speed Data Connectivity, HSPA CAT 24, HSPA CAT 6, 4G LTE CAT 4. Active noise cancellation with dedicated mic, Document viewer, Photo video/editor, Voice memo/dial, Google Talk, Gmail, YouTube. (Li-ion Non removable), 3750 mAh with Fast charging capability and weight is 165g. 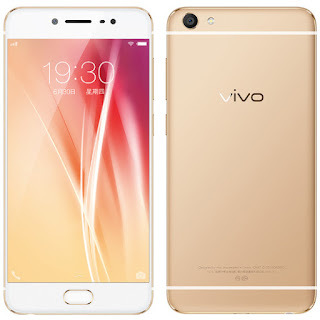 Vivo is a Chinese based company which is continuously introducing high standard mobiles with great Processors and Camera quality. Vivo X7 is the best in the market by Vivo with it's Vivo X7 Plus version as well. Overall designs looks like iPhone in first impression from behind and side wise but yeah, they have their own. The most important thing in this update is 108 GHz Octa core processor with 4GB RAM and 16 MP front selfie camera with an amzing picture quality. Vivo X7 is 5.2" bar smartphone with Dimensions (L) 5.80 inches x (W) 2.81 inches x (T) .28 inches. The Screen resolution 1080 x 1920 pixels (~424 ppi pixel density) enhanced HD. Power and Volume + and - keys and also MicroUSB port with Dual SIM Card Slot. The Sensors used are Fingerprint, accelerometer, gyro, proximity and compass. 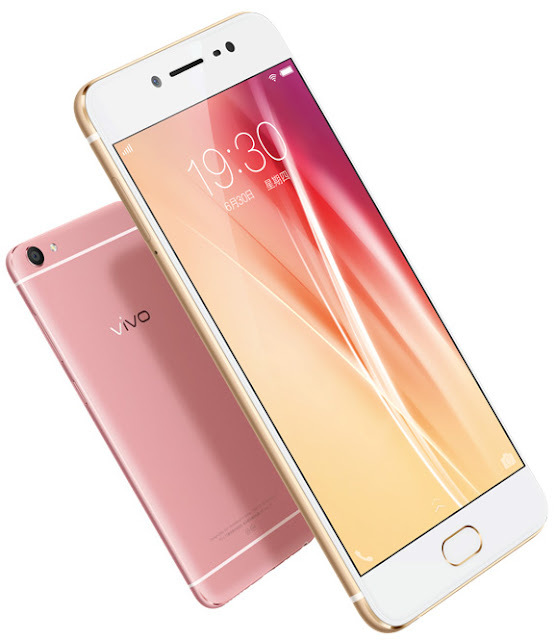 Operating System (OS) of Vivo X7 is Android OS, v5.1 (Lollipop). 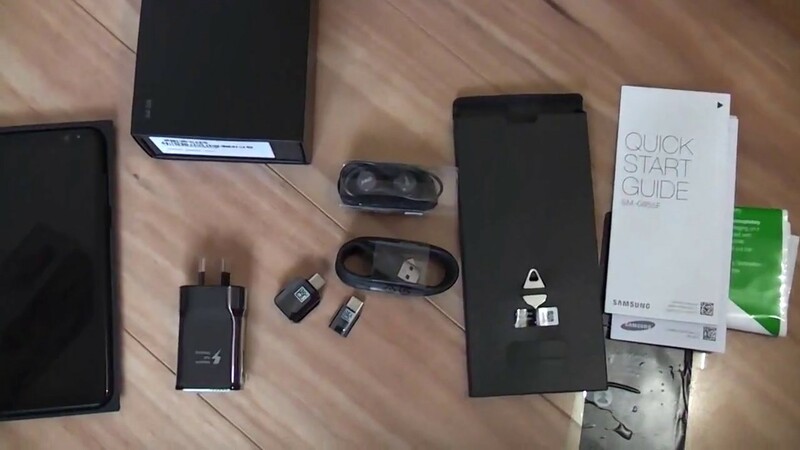 The cpu is (4x1.8 GHz Cortex-A72 & 4x1.4 GHz Cortex-A53) Processor with 64GB (ROM) Internal Memory and 4GB RAM with MicroSD card support up to 256GB by USing SIM 2 slot. The back camera is 13MP Auto-Focus, aperture F2.2, focal lens 28mm and panoramic. More features are Geo-tagging, touch focus, face detection, panorama and HDR. Video recording at 1080p@30fps and Front/Selfie Camera is 16 Megapixels. LTE: Band 2,4,5,12 & 17 High Speed Data Connectivity, HSPA CAT 24, HSPA CAT 6, 4G LTE CAT 4. The Colors are Gold and Rose Gold. Non-removable Li-Ion 3000 mAh battery. Stand-by time and Talk Time are not given so far. This mobile has a Fast battery charging. The Weight is 151 g (5.33 oz). 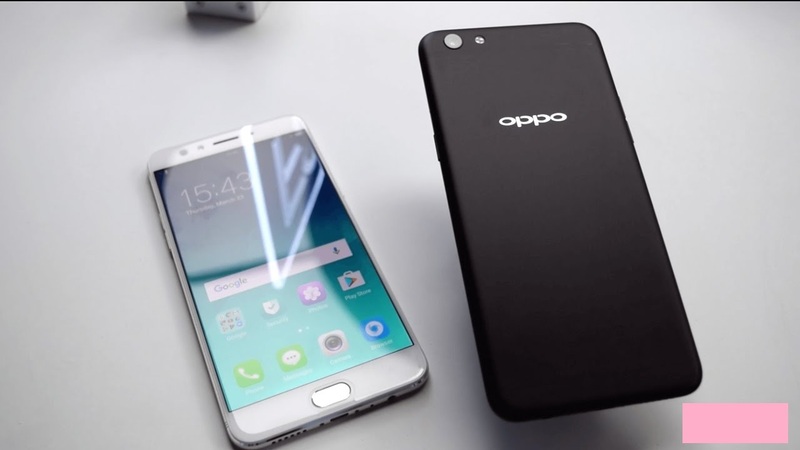 OPPO is introducing their latest mobiles with alot of amazing features. Oppo F3 Plus is the latest masterpiece from OPPO which is actually a challenge from Vivo of their latest Vivo V5 Plus. 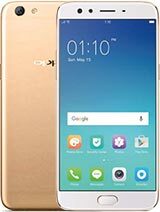 Oppo F3 with amazing look, HD Display with effects, camera looks real and a phone that is only equipped with the latest force touch feature. The resolution of this new Oppo F3 Plus is finetuned with a Super AMOLED display. The dual 16 Megapixels front Cameras made Selfies to the next level with their advanced techonlogy. Their 16 Megapixels front camera is so Sharp to take quick pictures as compared to back camera. Oppo F3 Plus having a 4000 mAh built-in non-removal battery can provide you contionus 2-3 days backups on normal use. Dimensions (WxHxD) are 163 x 80 x 7.4 mm. The Sensors are Accelerometer, proximity, compass and FingerPrint. The Operating system of Mate S is Android OS, V6.0 (Marshmallow) which is the latest version so far by Android Technology.Processor 1.5 GHz Quad-Core Cortex-A53, Qualcomm MSM8939 Snapdragon 615, Processor of Octa-core (4 x 1.95 GHz Cortex-A72 + 4 x 1.44 GHz Cortex-A53) will give you fastest speed with support of 4GB RAM, CPU type Cortex A-72. 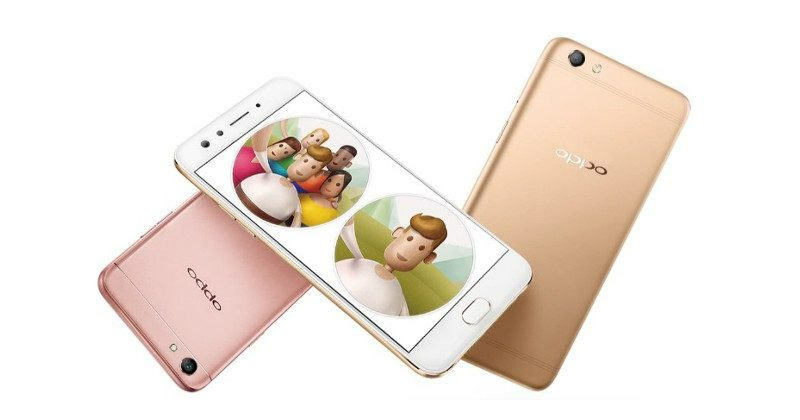 The built-in Memory of Oppo F3 Plus is 64GB, microSD acrd upto 256GB (Uses SIM 2 slot). Oppo F3 Plus is on LTE (4G) to give you fastest speed if you are an internet surfer. Dual Sim, Dual Standby, Nano-SIM. Bluetooth v4.0, LE, USB(microUSB v2.0, USB Host), WLAN (Wi-Fi 802.11 a/b/g/n/ac, dual-band, WiFi Direct, hotspot), GPRS, EDGE, 3G HSPA, 4G LTE Cat4 150/50 Mbps. 3G Band HSPDA: 850 / 900 / 1700 / 1900 / 2100. 4G band LTE: 1(2100), 2(1900), 3(1800), 4(1700/2100), 5(850), 7(2600), 8(900), 20(800), 28(700), 38(2600), 39(1900), 40(2300), 41(2500). Oppo f3 Plus Back/Rear Camera Pixels are 16 MP megapixels with Flash/Torch and maximum resolution (still) is 4128 x 3096 pixels. With optical image stabilization, face detection, autofocus, Geo-tagging and dual LED. The resolution of front camera is 16 MP and 8 MP with maximum numbers of fps when recording at 30fps and maximum resolution (video) at 2160p@30fps, 1080p@60fps, 720p@120fps, 1440p@30fps, HDR, dual-video rec. Oppo F3 Plus is available in only 3 colors Pink, Gold and White. 3.5mm Audio Jack, MP4/H.264/FLAC player, MP3/eAAC+/WAV player, Speaker Phone, Active Noice Cancellation with dedicated mic. Built-in games plus downloadable. Battery capacity is removable Li-Po 4000 mAh battery and weight is 185 g.